I’m used to drawing on pocket Moleskine sketchbooks or spiral-bound sketchpads no larger than 9 by 12 inches. A small size canvas is enough to intimidate me, so you can imagine my reaction when I first came across this 135-foot long by 24-foot high mural on Capitol Hill a few weeks ago. Wow! I came back Tuesday afternoon to sketch the giant temporary artwork in a nod to its creators. It was designed by local artist Baso Fibonacci and painted by Zack Rockstad and Japhy Witte. 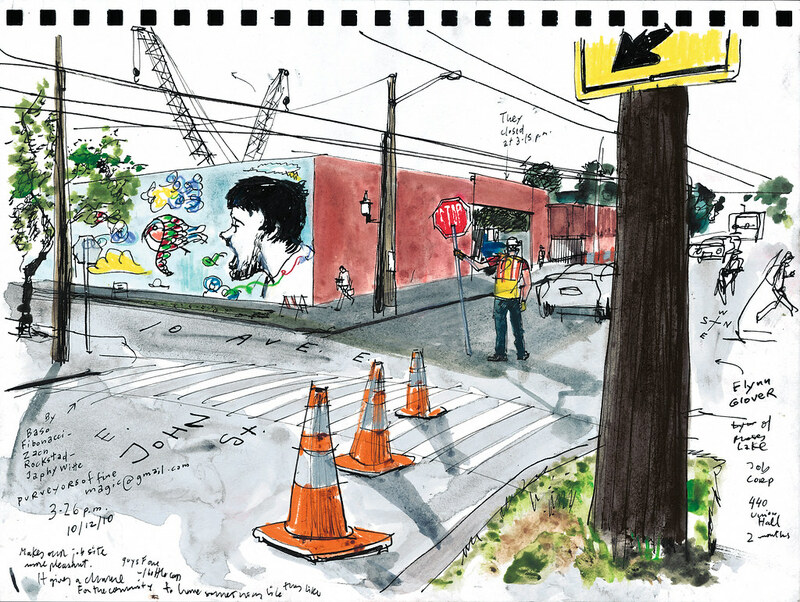 The mural, painted on the construction wall around the light rail station site, is one of many art pieces curated by local artist DK Pan for Sound Transit’s STart Capitol Hill Wall Project. You may remember D.K. Pan from this art installation I sketched last year. See every inch of the 9 by 12-inch sketchbook page where I drew this sketch here. 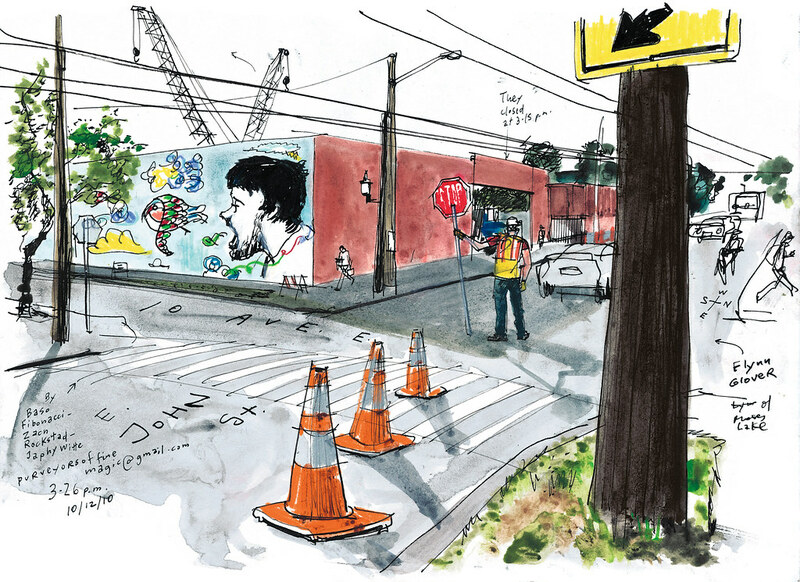 Listen to artist Baso Fibonacci talk about the mural on this KOMO4 video.